I have to get my hands on one @ the earliest. A guy from europe is askin for 550$ for a set ..am talkin abt Nokia 9500, and this guy from finland is askin for Euro 500...has it really been launched in europe? Please I want to know about a NOKIA phone I just saw and I am interested in it the name I saw on it was rinGo please reply to my Email address. Thanks very much. My Dream Phone. Very Very Very Cool..! nokia 9500? looks great n enrich with features.but will it defeat the Motorola cell-phones V1000? Look´s lika a remote control!!! Bad design!!! There is a problem with Nokia designers???? 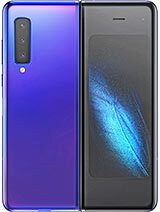 may i request abt the price we will be looking at for the nokia 9500 please. It started!!!!!!!!! d next generation of cellphones no doubt its the benchmark of all cellphone in the future,a force to be wreckon' with. definitely one of the most "must have" for IT people out there good job nokia keep up the good work!!!!!!!!!!!! I dont like N9500 because it looks like a remote control. We have lots of remote control in our house. when is this gonna b launched and how much it will cost in india??? ne1 with ideas?? even if close my eye i will still see that nokia 9500 ,i lant that the price $580 but i don't know if that the truth .such hand set is good for students and business men and women.nokia i love you for providing my need in a very conpartible place like nokia9500.